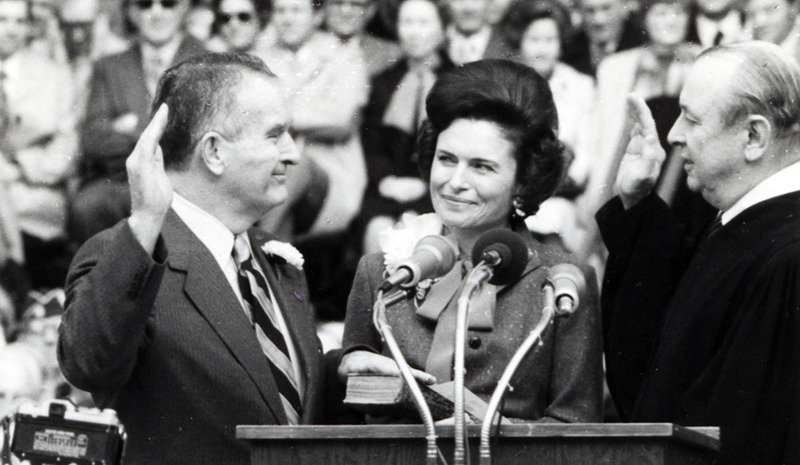 William Clements Jr. being sworn in as the 42th governor of Texas with his wife Rita by his side, January 1979. The Clements Texas Papers Project, created by the Briscoe Center for American History, is a digital scholarly edition containing items selected from the personal, campaign, and official state papers of William Perry Clements, Jr., permanently housed at Texas A&M University’s Cushing Library. This digital collection features a broad selection of records from Clements’ three campaigns for Governor of Texas, as well as the two terms he served in office: 1979-1983 and 1987-1991. It also includes papers created during his tenure as Deputy Secretary of Defense under Presidents Nixon and Ford, as well as his personal correspondence between 1972 and 1991. Finally, the collection includes select records pertaining to his leadership of SEDCO, the oil drilling company he founded in 1947, and his philanthropic work with the Boy Scouts of America and Southern Methodist University. An on-line finding guide to the complete collection is available here from the Cushing Memorial Library and Archives. 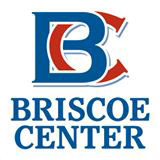 Through stewardship, scholarship, and outreach, the Dolph Briscoe Center for American History increases knowledge and fosters exploration of our nation's past. As a leading history research center, we collect, preserve, and make available documentary and material culture evidence encompassing key themes in Texas and U.S. history. Researchers, students, and the public use our collections for a wide range of academic, professional, and personal uses. Our collections also inspire our own projects, including books, exhibits, programs, films, and educational materials. The Dolph Briscoe Center for American History is an organized research unit and public service component of The University of Texas at Austin. 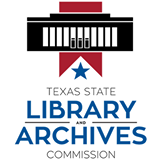 The mission of the Texas State Library and Archives Commission is to safeguard significant resources, provide information services that inspire and support research, education and reading, and enhance the capacity for achievement of current and future generations. The people of Texas will have access to and effectively use information, archival resources, public records and library materials to improve their lives, the lives of their families, and their communities. All people will benefit from expanded opportunities and resources to explore diverse pathways to knowledge and wisdom. Cushing Memorial Library & Archives houses rare books, special collections, manuscripts and the Texas A&M University Archives. The historic Reading Room is open to all for research and studying. 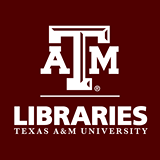 We enrich minds and inspire learning by providing quality information, services and resources to the Texas A&M Libraries global community.